DiskSorter provides Windows shell integration capabilities allowing one to classify files directly from the Windows Explorer application. 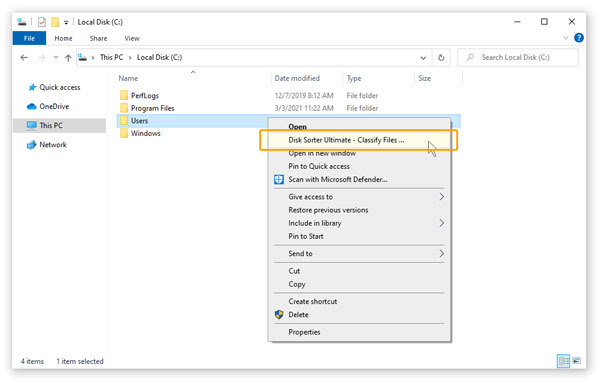 In order to classify files in one or more disks or directories, select the required disks or directories in the Windows Explorer application, press the right mouse button and select the 'DiskSorter - Classify Files' menu item. 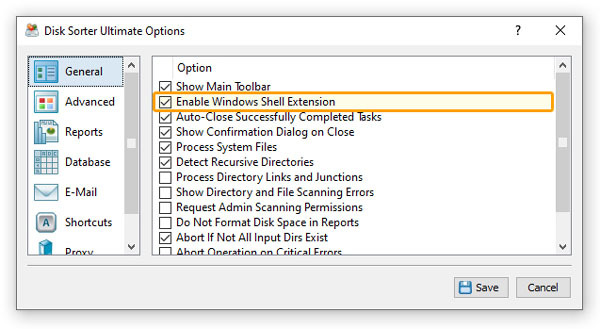 In most cases, the Windows shell extension is a very useful feature, but sometimes, when the user have too many installed shell extensions, the Windows context menu may become too cluttered. In order to remove the DiskSorter entry from the Windows context menu, open the options dialog, select the 'General' tab and disable the Windows shell extension.